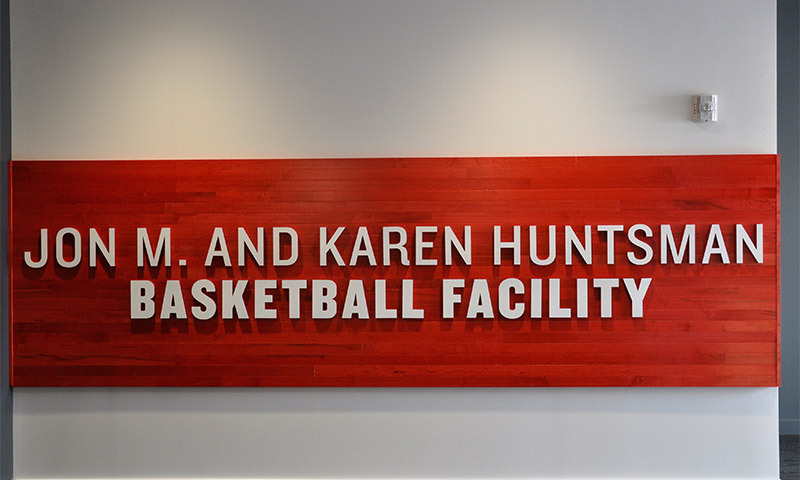 The Jon M. and Karen Huntsman Basketball Facility, a state-of-the-art, $36 million, 101,000-square-foot structure, opened northeast of the Huntsman Center arena on Oct. 1, 2015. The four-story building features a legacy hall, separate glass-enclosed upper levels for both the men’s and women’s programs, and a rooftop terrace. 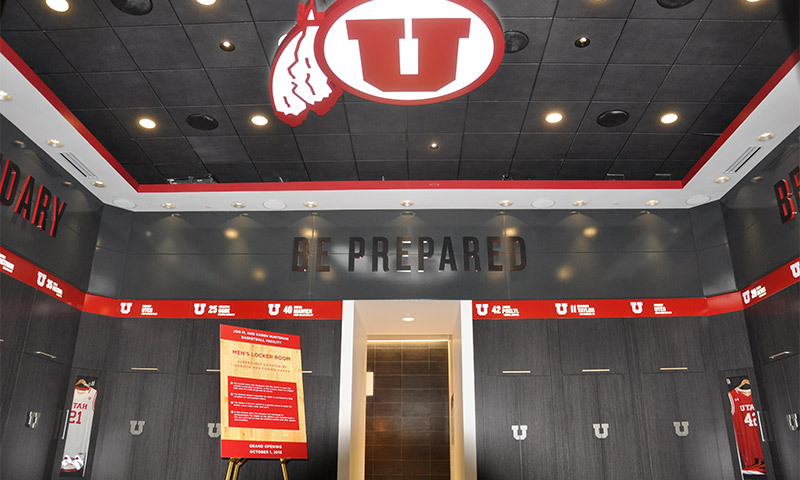 The ground floor entrances to the facility lead into the Kem and Carolyn Gardner Legacy Hall. 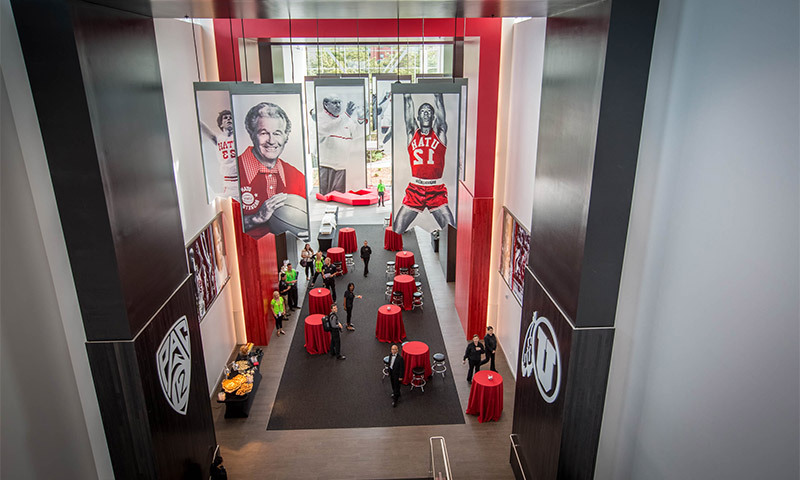 Banners bearing images of the former Ute basketball greats hang from a 38-foot-high ceiling. 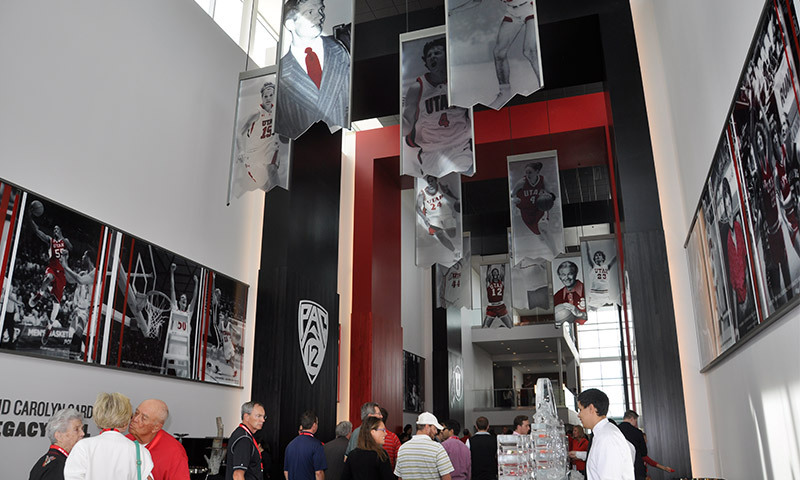 A pictorial history of the men’s and women’s basketball programs lines the walls alongside a massive 30-foot raised circle and feather logo. The 6,000-square-foot hall is bathed in natural light from clearstory windows. 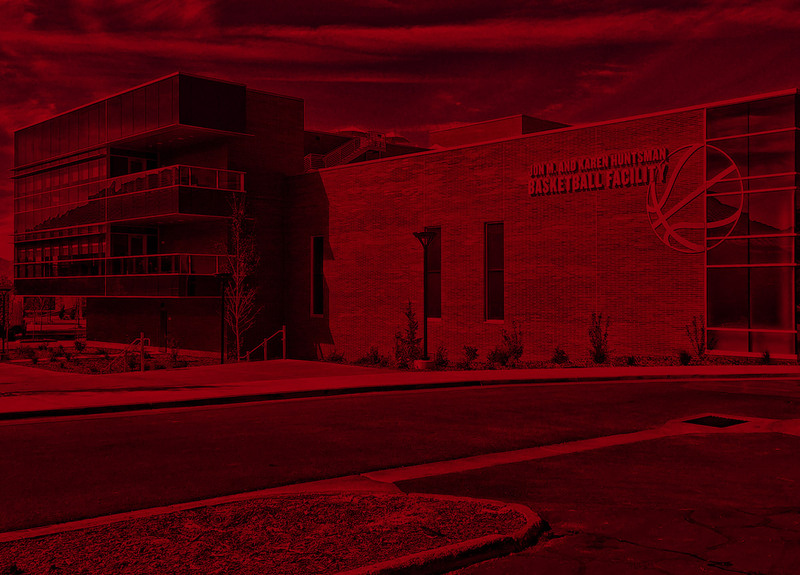 Expansive viewing balconies overlooking the men’s and women’s practice gymnasiums are accessible via Legacy Hall. The configuration of both gyms is ideal for practice because it allows coaches to run five simultaneous drills without impacting one another. 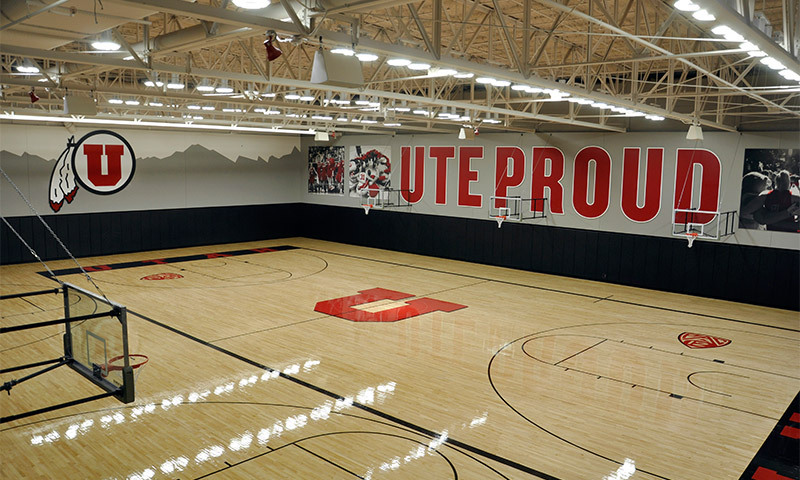 The courts are an exact replica of the one in the Jon M. Huntsman Center. The gymnasiums also contain a video editing area, courtside taping tables and cardio equipment. 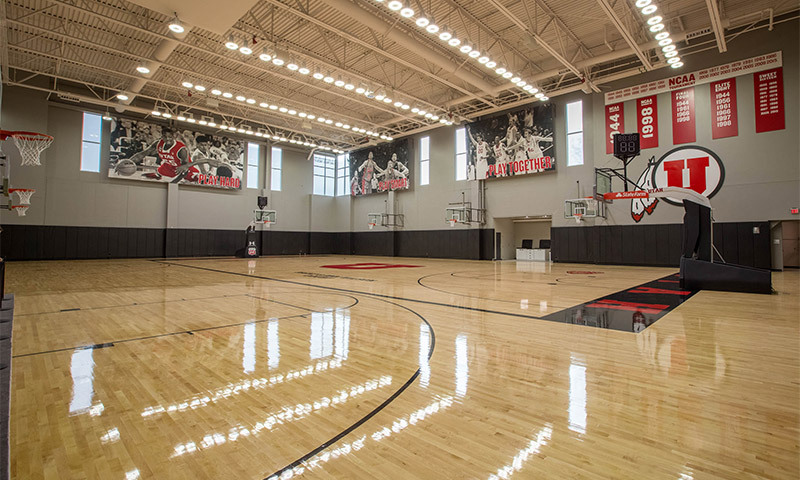 A glass-enclosed yoga room shared by both teams overlooks the women’s practice court. 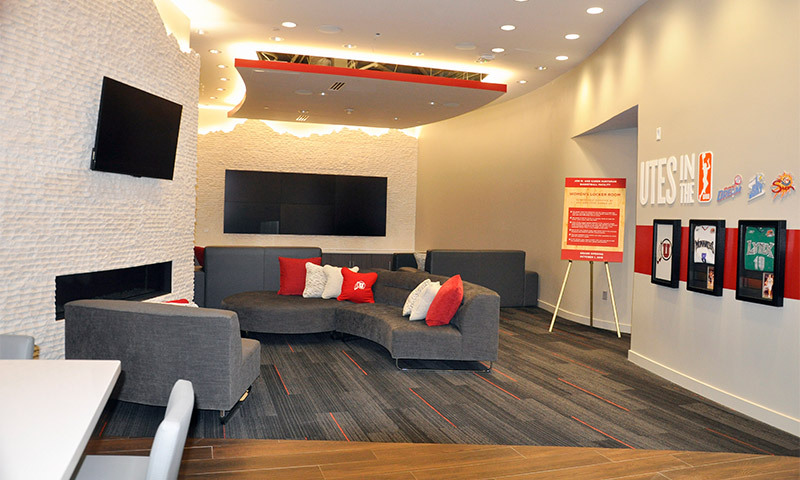 Other features of level one include a shared space for pre-game meals and donor functions. 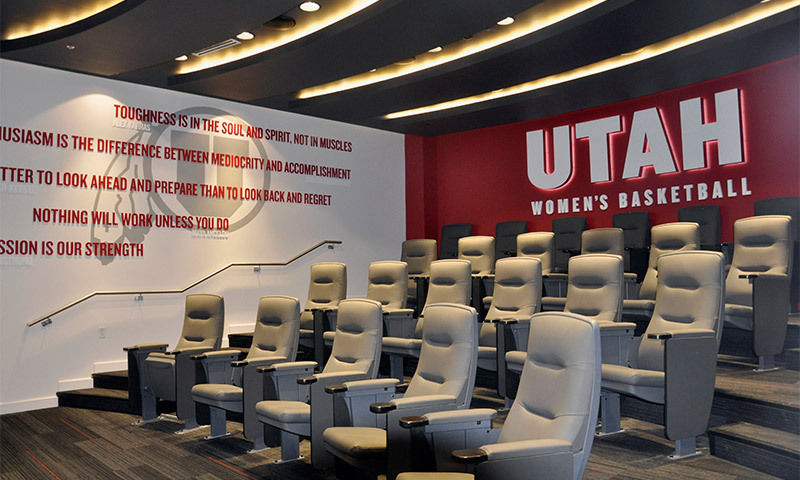 Both teams have separate theaters complete with projection screens and whiteboard walls, as well as player lounges with six 55-inch televisions, custom-built furniture and gaming consoles. 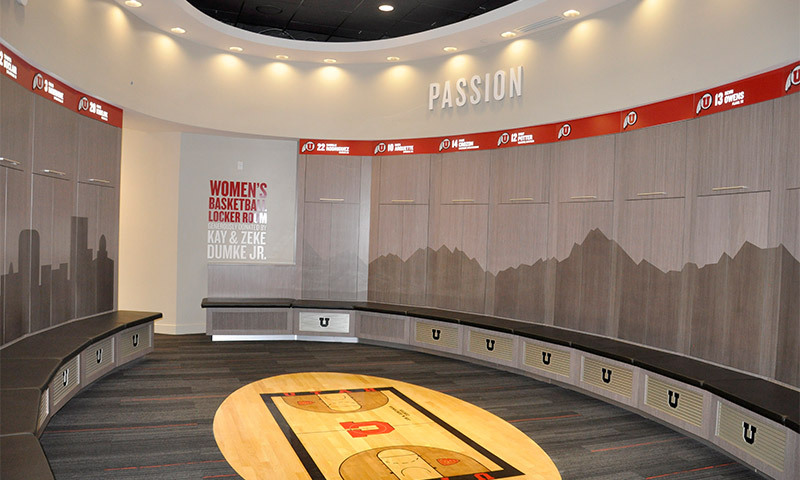 The team locker rooms, which are 700-square-feet in size, are also found on level one. 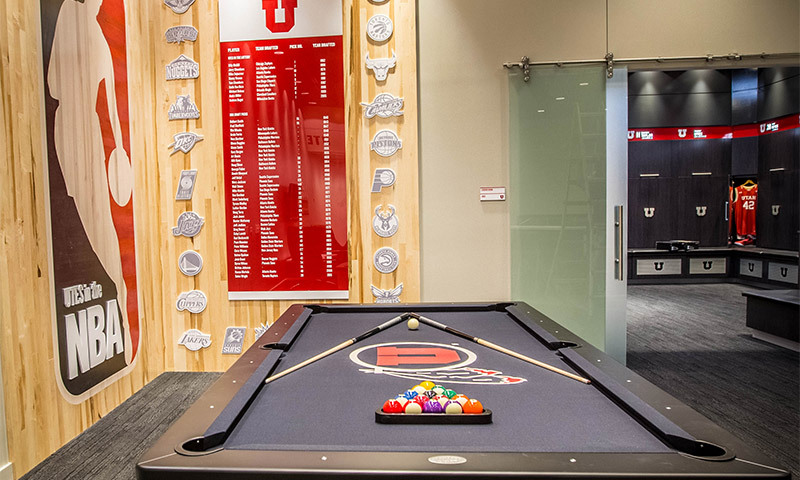 In addition to custom lockers, showers and restrooms, they boast in-ground hot and cold tubs that face 80-inch television screens. 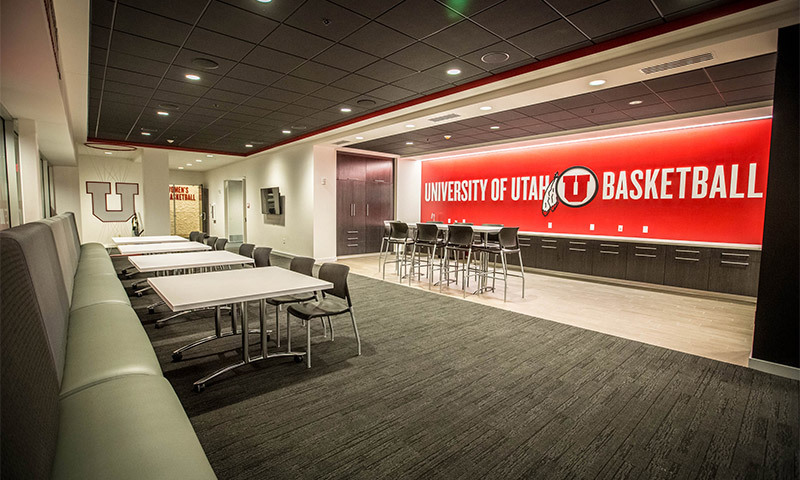 The women’s and men’s basketball offices, recruiting lounges, conference rooms and coaches’ lounges are located on levels three and four, respectively. All assistant coaches have window offices and private balconies. Across the hall are offices for administrative and video staff. 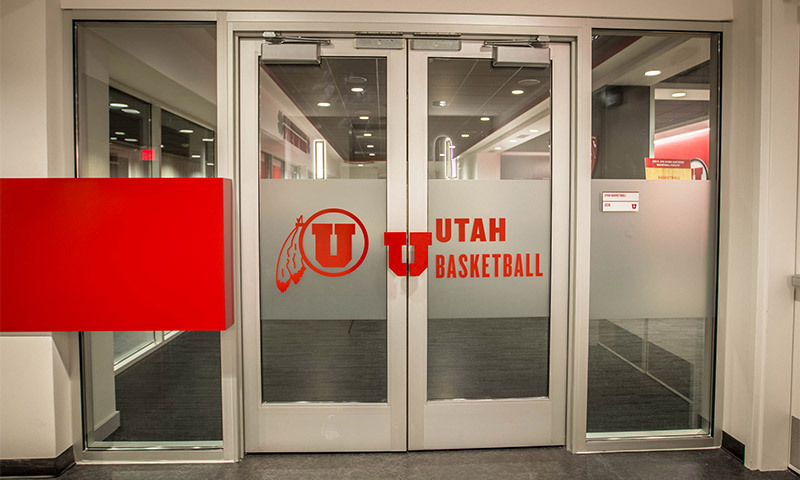 The head coaches have L-shaped 935-square-foot offices encased in floor-to-ceiling glass with private balconies. 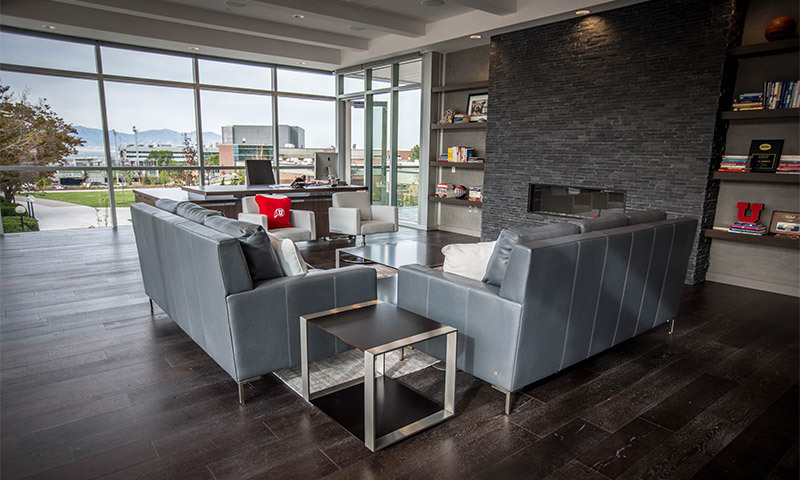 They are equipped with fireplaces, 60-inch televisions that retract into the ceiling when not in use, and surround sound. 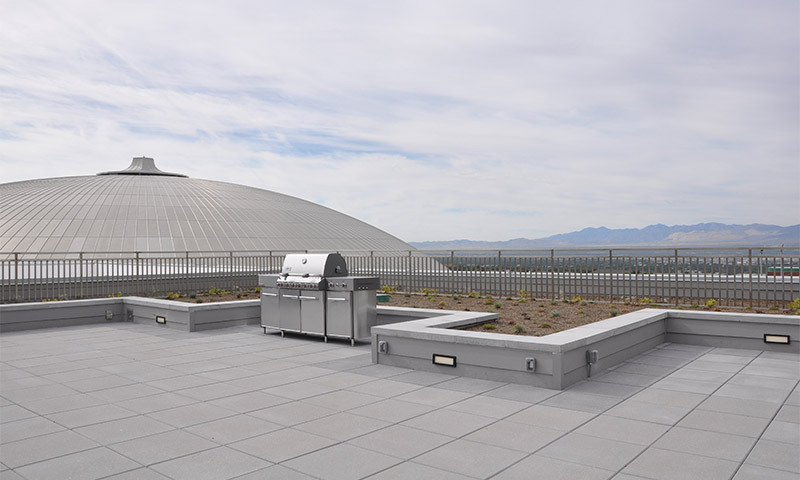 Above level four is a rooftop terrace, bordered by a garden with low-water and drought-resistant plants, offering a 360-degree panoramic view of the Wasatch and Oquirrh Mountain ranges, the University of Utah campus, downtown Salt Lake City and the Great Salt Lake. It includes is a fire pit, gas grill and Utah-themed patio furniture. 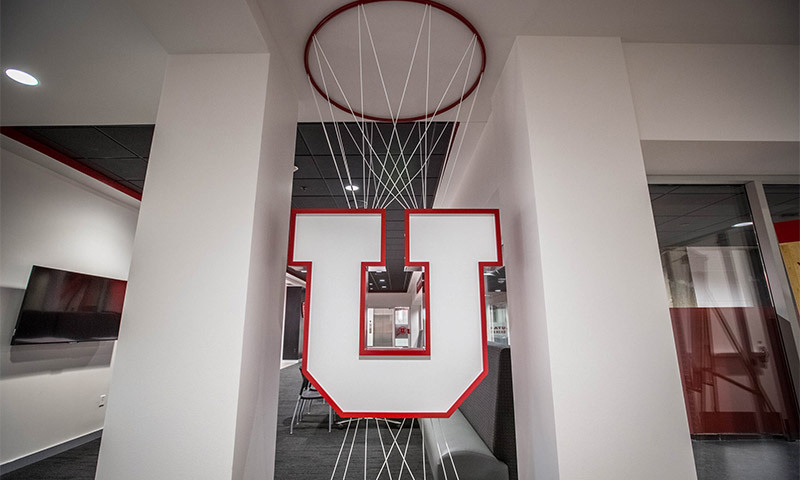 A series of existing tunnels connects level one to the HPER facilities, the Sorenson High Performance Center and Burbidge Family Athletics-Academic Center—which serve all of Utah’s student-athletes—as well as the Jon M. Huntsman Center. 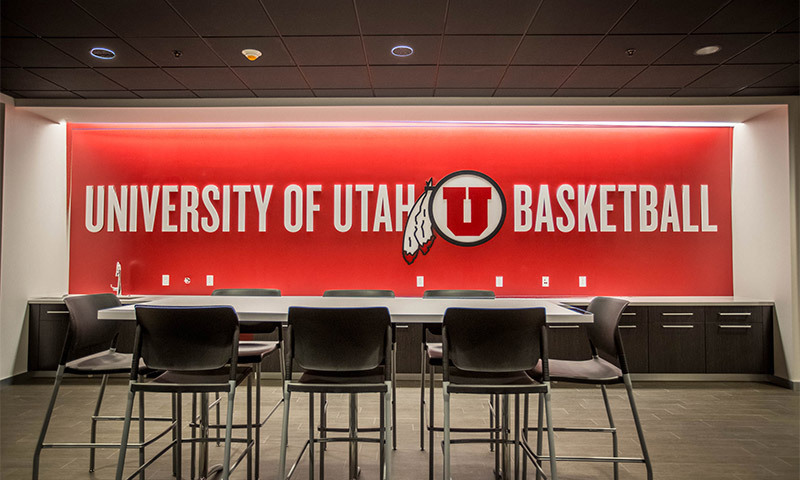 The Jon M. and Karen Huntsman Basketball Facility was built in conjunction with the state-of-the-art Sorenson High Performance Center, which opened in May 2015. The 20,000-square foot facility has conditioning and strength training space; an athletic training, rehabilitation and hydrotherapy area; and a refueling/nutrition station.